TWO DAYS LEFT. Just today and tomorrow, and we're done with our print-and-blog-about-one-thing-every-day-for-an-entire-freakin-year project! Settings: These models print fully assembled with hinges intact. The clearances are optimized for a Replicator 2 with .3mm layer height, with no raft and no supports. You can use a raft if you have to, but you must use no supports at all or else the hinges might not work correctly. 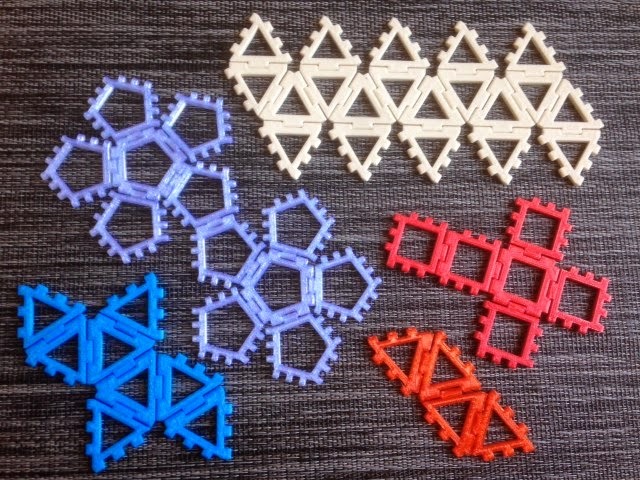 Technical notes, K-12 education flavor: The original idea for these models came from Alexis Stevens at James Madison University, who was using paper polyhedral nets in her courses. These models are built to be sturdy and able to hold up to rough-and-tumble educational use. 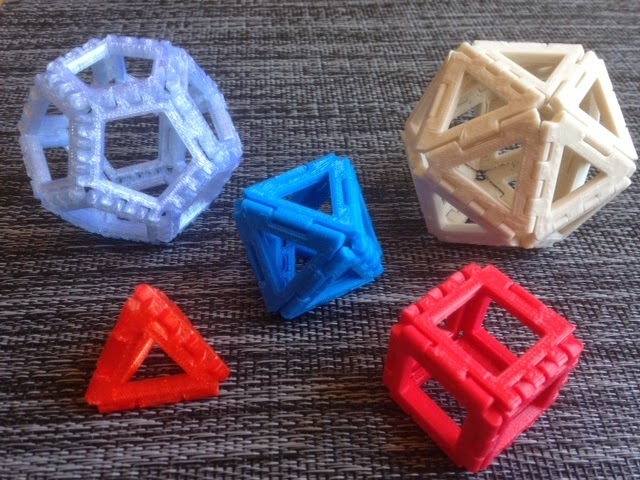 Students will be able to fold and unfold the plastic printed models as many times as they like without the models degrading as they would if they were made of folded paper. Thank you Alexis for this great idea!